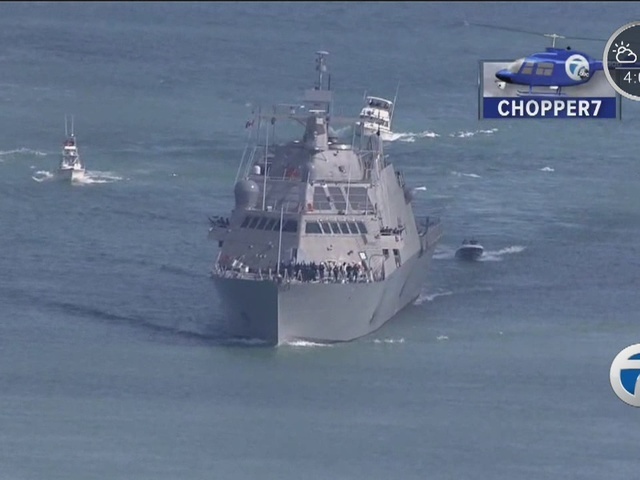 The naval ship that captured the city's attention last week is now opening for public tours. 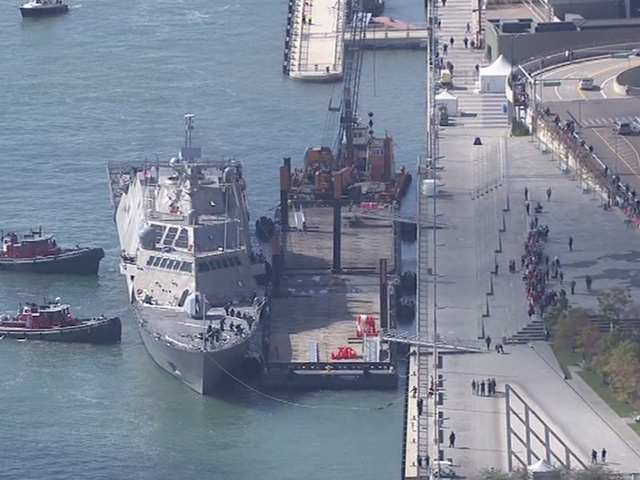 The USS Detroit has docked near the Renaissance Center in downtown Detroit. 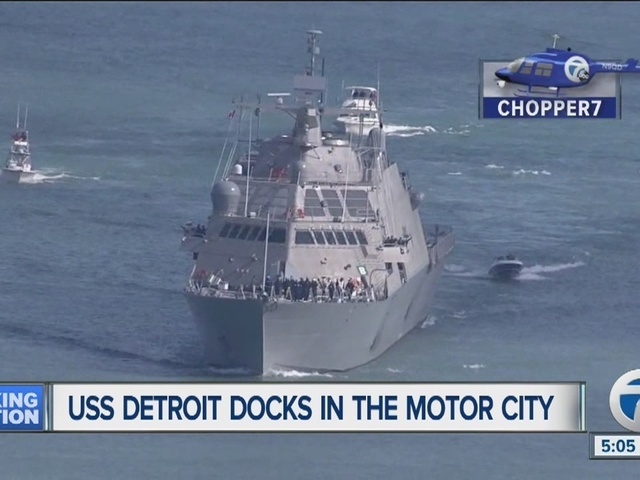 The ship left from Wisconsin earlier this week and made its way through Lake Michigan, Lake Huron, Lake St. Clair and down the Detroit River before docking. There are free tours of the ship on Wednesday, Oct. 19 from 1 p.m. to 5 p.m. The tours are free and are first-come-first-serve.